A new transit hub connecting you to what matters. We’re working to bring you the Eglinton Crosstown LRT, TTC buses, UP Express and GO Transit’s Kitchener line, all in one new station. Located on Eglinton Avenue West between Weston Road and Black Creek Drive in Toronto, Mount Dennis Station will connect you to an all-new, convenient rapid transit experience to get you where you need to be, better, faster and easier. The new station will connect the Mount Dennis community to frequent transit like never before. 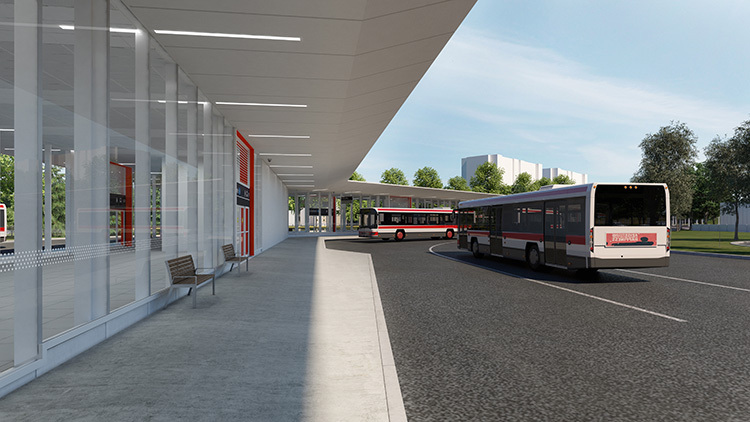 Aside from the direct connection to the Crosstown, and all-day, two-way service on the GO Kitchener line, (connecting Brampton, Toronto, Guelph and Kitchener), you’ll have easy access to a new TTC bus terminal, a passenger pick-up and drop-off area, and 120 bike parking spaces, including 80 indoor spots. 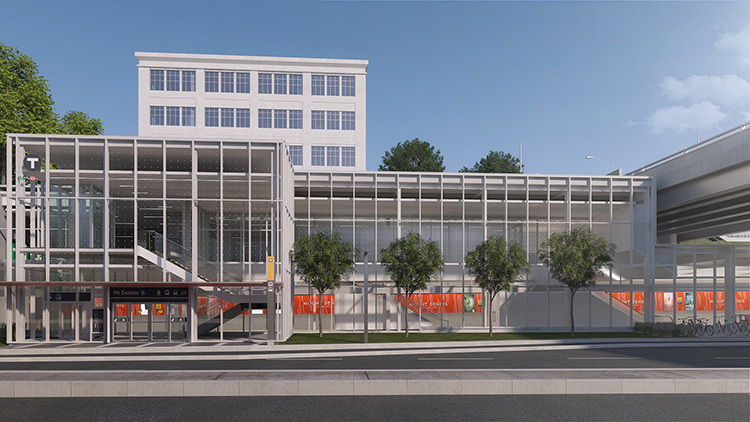 In addition to your new connections to rapid transit, retail spaces will be included in the new plaza and in the bus terminal, as part of our work to restore and integrate the historic Kodak building into the future of Mount Dennis. For more information on the Eglinton Crosstown LRT, please visit thecrosstown.ca.